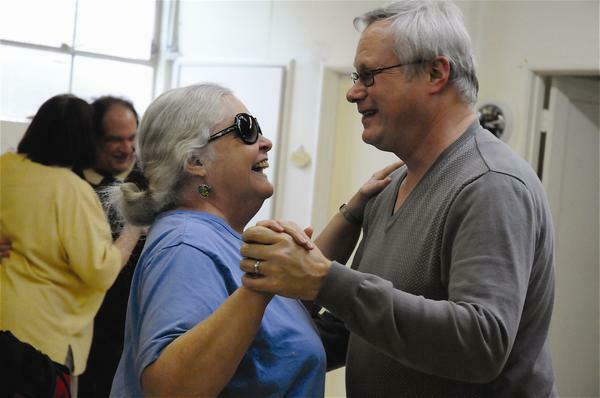 The East Bay Center for the Blind offers services and social activities to a diverse group of people who are blind or low vision, many of whom are not assisted by other agencies. We give particular attention to individual needs and circumstances. Members and non-members may attend classes and events. Members are also eligible to vote, run for office and serve on the Board of Directors. We regret that our Volunteer Recognition event for February 23 must be postponed until a later date. We will keep you posted when a date has been chosen for re-scheduling. For our latest news, please see the Quarterly Newsletter. For lists of upcoming events and ongoing classes, please visit the Events and Classes pages. Are you or a family member losing your vision and not sure how to cope? Would you like to share your experiences with other blind and visually impaired people in a nonthreatening setting? 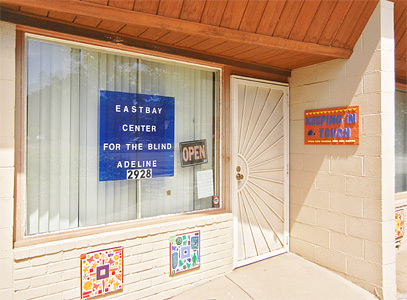 Established in 1939, The East Bay Center for the Blind, Inc. is an innovative, grassroots, nonprofit organization that seeks to empower blind and visually impaired individuals underserved by traditional agencies. We strive to actively facilitate independence, confidence, dignity and self-growth in our community. EBCB is primarily a membership organization. We don’t believe in the “client” and “staff” relationship. The Center is currently staffed mainly by our members. However, nonmembers are always welcome to participate in our classes, meetings and events. At least 75 percent of EBCB’s members are blind or visually impaired. Members operate the Center. We open and close the building, make the coffee, clean the kitchen, run the office and serve on the Board of Directors. EBCB seeks to cooperate with other organizations serving blind people. However, unlike other agencies, we don’t insist on rigid requirements and goals. Instead, we promote informal mutual support and encouragement in a nonjudgmental atmosphere. We invite you to take part in our support network by asking questions and talking freely about your problems and successes adjusting to blindness. Join us as we work together to help and nourish one another. Do you want to enhance your literacy skills by learning Braille? Our Braille instructor can work one on one with you to encourage independence through mastering the dots. In addition, members may borrow books from the Center’s extensive Braille and audio book library. EBCB offers free assistive technology instruction. We approach technology training in an innovative fashion, gearing lessons to a consumer’s specific needs. We offer iPhone and Android workshops and individualized training. Do you own or want to buy a Victor Reader Stream or other note taking device? We can work with you to maximize the benefits of this accessible technology. Do you want to learn how to work with a Braille display, use a screen reader to access your PC or laptop computer, explore the Internet, read and reply to emails, shop online, pay bills, do research, or download movies and books? To get started, call or email our technology instructors for information on scheduling or upcoming workshops. EBCB offers opportunities for socializing and educational enrichment. Join us for such classes as ceramics, low impact exercise, memory enhancement and music appreciation. We also offer a book club and creative writing group. EBCB organizes multiple social events throughout the year, including an annual Mardi Gras party, field trips, summer picnic, fall Harvest Festival and winter Holiday Party. Each year EBCB holds quarterly business meetings. 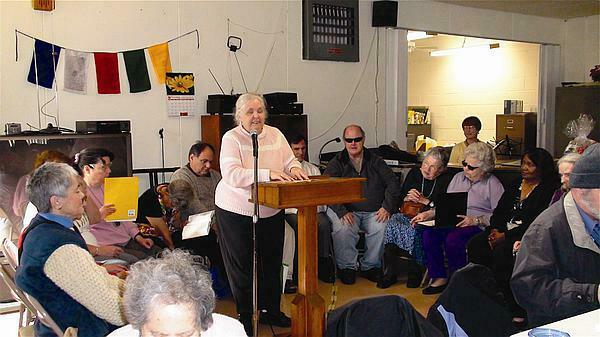 We also offer vision loss support workshops and adaptive technology presentations. To inform members and other interested individuals about upcoming events and activities, we publish a newsletter in Braille and large print, via email and on our website. 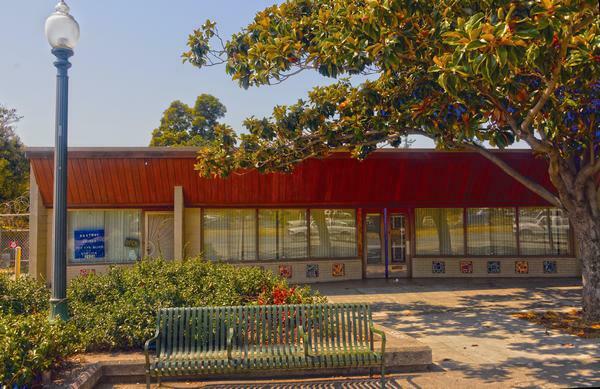 The East Bay Center for the Blind, Inc. is a private 501C(3) nonprofit organization which relies on membership dues, donations, bequests, grants and fundraisers. We welcome volunteers to assist with reading, shopping or being on hand for various events. If you or your organization would like to contribute money, time or resources to EBCB, please contact us. We believe that only we blind and visually impaired people can determine our destiny. We’re proud of what we do, and we hope you will choose to participate with us to make the East Bay Center for the Blind even better!